The Custard TV: Star Trek Discovery: The show Trekkie's have been waiting for. 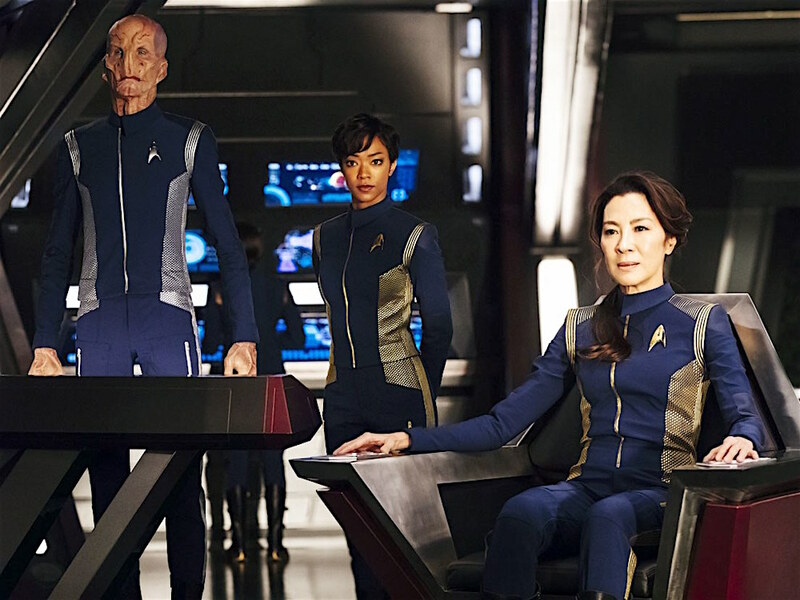 Star Trek Discovery: The show Trekkie's have been waiting for. I’m a Trekkie. I love it all. From the lows of Nelix and Kes in Voyager to the highs of Picard and Locutus in The Next Generation. From Shatner’s dodgy syrup and girdle to Stewart’s excellent bald cap. 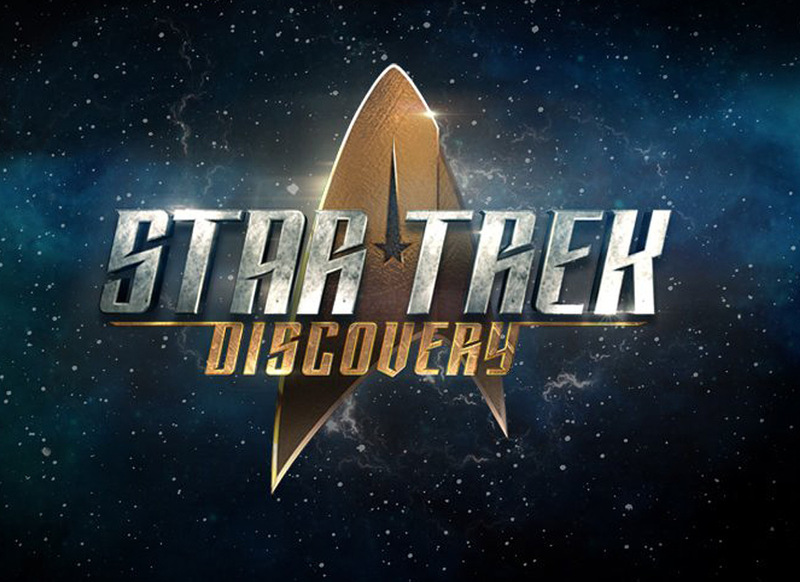 Like most Trekkie’s I’ve been hanging on for more than a decade for a new TV series and, judging by episodes 1 and 2, the wait was worth it. 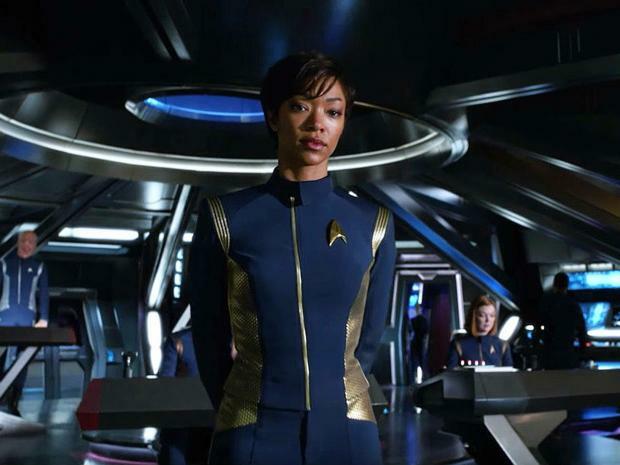 Star Trek Discovery is CBS's new incarnation of Trek for the streaming world. Streamed through CBS All Access in the US, and Netflix in 180 other countries, this new series is from TV supremo Bryan Fuller (Hannibal, American Gods) who has previous form in the Star Trek universe, writing for Voyager and Deep Space Nine and the previous experience shines through. Although Fuller still gets credit he left the series before production started. This new series is set around a decade before The Original Series and from the opening scene we are shown that the Prime Directive is more fluid back in the olden days. We meet USS Shenzhou Captain Philippa Georgiou (Michelle Yeoh) and her First Officer Michael Burnham (Sonequa Martin-Green) along with a collection of other Starfleet employees on a routine mission to repair a satellite. As you would expect this routine mission turns into something much bigger very quickly. We are thrown into a universe where the Klingon race are fragmented into their separate houses (shades of Game of Thrones here) and where the Federation have had no interaction with them since an act of terrorism many years previous. A new force is rising within the Klingon empire. T'Kuvma (Chris Obi) is using a recognisably resonant, nationalistic fear of “the other” to gather together the disparate Klingon houses and rally them against the federation. T'Kuvma has used a religious belief to gather a following and his sarcophagus ship to gather his dead. When Burnham kills one of the Klingons whilst investigating the strange ship our rollercoaster ride is set in motion. The beauty of this two-part pilot episode is that as soon as the action starts it keeps going until the last second, hardly stopping for air along the way. And it’s not only the action that keeps us going, the fantastic characterisation and acting from the two leads means there are few dull moments on offer here. During the two hours of the episodes we are introduced to Burnham’s issues from her past (she was caught in the aforementioned terrorist attack) which lead her to mutiny against her captain, and close friend, during the first episode’s climax. When faced with how to deal with a Klingon stand-off she calls her adoptive father, Sarek, for advice and decides attack is the best opening agains the Klingons. The captain, however, disagrees and gets a Vulcan nerve pinch for her efforts. While trying to force the rest of the crew to attack, the captain awakes and orders Burnham to the brig while a Klingon fleet arrives in force. In the second episode we see how completely Vulcan Burnham’s upbringing was when she first joined the ship under Georgiou’s wing and see how far her understanding of her human side has come. This episode is full of action set pieces as the Shenzhou, along with a fleet of other Federation ships, is all but destroyed. T'Kuvma’s endgame becomes clear as we see the disparate Klingon houses rally behind him in the face of, what is spun as, the Federation threat to their very existence. As Burnham battles her way back to the crippled vessel’s bridge she arrives in time to ensure that a plan which could have turned T'Kuvma into a martyr is instead turned into a plan to capture the leader. Unfortunately once on board the ship, during an awesome hand to hand combat scene, things turn unfortunate and T'Kuvma stabs Georgiou through the heart just as Burnham shoots T'Kuvma. Before Burnham can reach her captain to take her back to her ship she is transported back to safety. The episodes end with our initial captain dead, T'Kuvma celebrated as a martyr and Burnham imprisoned for life. Where will the show go from here? Where is the USS Discovery? When will we say hello to Jason Isaacs? This opening was Star Trek for a new generation. It was action packed, full of game of thrones influences and stuffed with references to the Trek that has come before it. It’s clear the CBS has spent a lot of money on this, certainly in these opening episodes, and the quality of the scripts, production and performances are up there with the best television has to offer at the moment. It’s fantastic to see two powerful female leads in Martin-Green and Yeoh heading up this incarnation of the sci-if classic and it’s even more fantastic to see their characters written so commandingly and fully. The Bechdel test is passed here within the first, opening, moments. The wait is now on until next week when Netflix reveals episode three and we discover whether all the money and time went straight into the first two episodes or if this is a series that will be as enjoyable throughout it’s 15 episode run. New episodes of Star Trek: Discovery will premiere on Netflix at 12am PT every Monday, following the US episode broadcast on CBS.